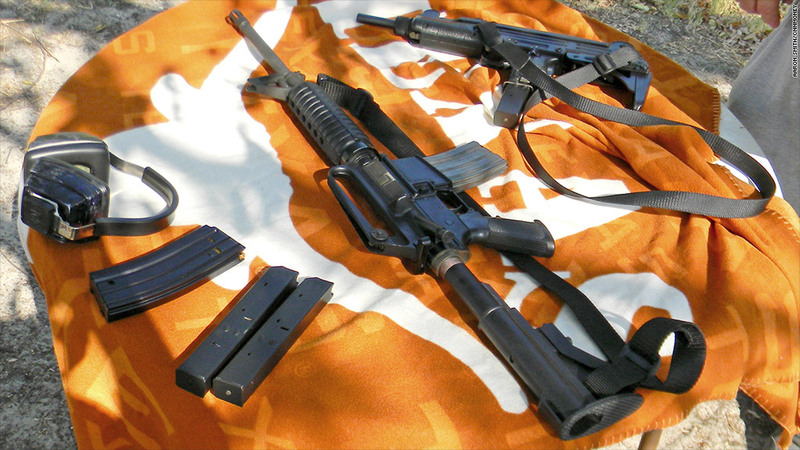 The market for assault rifles (like the AR-15, center) has cooled off as concerns about increased regulations subside. The red-hot market for assault weapons has finally cooled off. Over the last couple of years, sales have surged for military-style semiautomatic rifles, known variously as assault rifles or modern sporting rifles, driven by fears of a potential federal ban on the weapons. "After the [Sandy Hook] tragedy, some dealers were getting double what the guns were worth," said John Kielbasa, owner of Fernwood Firearms in Hankins, NY. "Guns that cost several hundred dollars were going for $1,400." 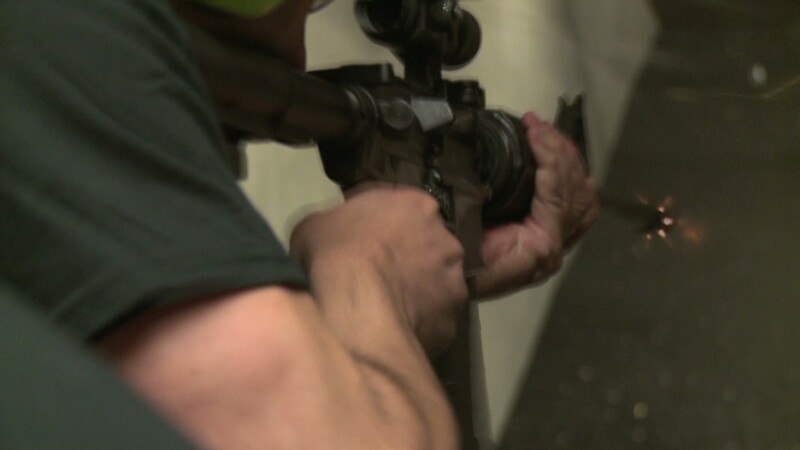 Firearms retailers couldn't keep their shelves stocked in 2012 and 2013. But "that's done now," says Kielbasa. "From what I see in the industry right now, it's back to normal." These so-called assault rifles, which are typically AK-47 or AR-15 models, are defined by their military-style features, including pistol grips, bayonet lugs and high capacity magazines that can hold more than 10 bullets. Sales of guns and ammunition took off in November 2012 in the wake of President Obama's re-election. He had said during the campaign that he intended to bring back the expired 10-year ban on assault rifles. The buying became even more frenzied the following month, after a gunman used a Bushmaster to massacre 20 children and six educators at Sandy Hook Elementary School in Newtown, Conn.
After that shooting, demand got crazy, said John Reids, owner of JT Reids Gun Shop in Auburn, Maine. "We couldn't keep up with it." Reids had to hire extra workers to handle the sales spike. Guns were sold as soon as they arrived from the distributors. Now, assault rifles are available for as little as $375 at some of the top online gun retailers like Gunbroker.com and CheaperThanDirt.com. "Nearly all firearms have returned to prices seen prior to the Sandy Hook tragedy," said Dennis Pratte, owner of My Gun Factory, a store in Falls Church, Virginia. At the time, he recalls, customers were calling about assault rifles "every 10 seconds." Some retailers describe Obama as the best gun salesman in the country. But the president's gun bill failed to pass the Senate last year, alleviating concerns about new federal restrictions. That's why even more recent mass shootings, like the second one at Fort Hood, Texas, didn't set off a gun-buying frenzy. The threat of more regulations has receded, at least for now. "I believe what happened is that everybody who wanted to buy one did," said Fernwood Firearms' John Kielbasa. "Now it's a buyer's market."